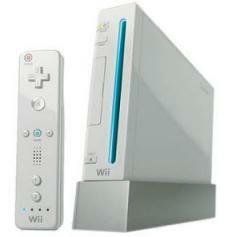 Wii Backup Manager 0.4.5 Build 76 - Wii Backup Manager 0.4.5 Build 76 has been released by Wii Homebrew Dev fig2k4. If you are using a WBFS partition you should take this opportunity to upgrade to this version of the backup manager. Previous bugs have been resolved and this update includes a new function to find and repair corrupt files. * Added: Menu item on drive pages, "Tools->FAT32/NTFS->Repair WBFS files". This will fix most problems that cause games to show as invalid in WBM. For example, the corrupt WBFS header caused by the renaming bug below and also WBFS files that haven't been trimmed correctly. * Added: "Tools->WBFS->Recovery mode" now also works with WBFS files. If you have invalid entries in the list, this will allow you to transfer the games to another drive or ISO/CISO which will repair them. * Fixed: A serious issue with title renaming that caused corrupt WBFS files. By not rewriting the WBFS header when renaming the title, it removes the possibility of the header getting corrupt. It doesn't need rewritten anyway, so the code shouldn't have been there. * Fixed: (Issue #0000006) In WIndows XP, the visual styles cause the files list to turn black. * Fixed: (Issue #0000004) When I made some changes from WiiTDB to GameTDB, I missed the titles colour entry in the setting dialog. Because it used WiiTDB and the code expected GameTDB, the colour couldn't be edited..